Located in northern Lancaster County near the regional transportation hubs of the Pennsylvania Turnpike Interstate 76, PA Route 272, and US Route 222, the two townships of West and East Cocalico combine to make up the Cocalico School District. In this area just south of Reading, you will find quant little towns such as Denver and Adamstown. Hundreds of people enjoy the popular Denver Fair each year. 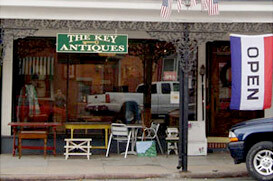 Adamstown has developed a reputation as the “Antiques Capital” of the United States. It is also home to the Stoudt’s Brewery; Pennsylvania’s first microbrewery, which was established here in 1987.